There is quite a lot of discussion about how to finance the costs of publishing monographs in Open Access. While lots of alternative business models have been identified, actual hard data on the publishing costs and revenue associated with academic books are conspicuously absent from the debate (for fairly obvious reasons – commercial publishers consider such data to be commercially sensitive). I recently returned from the COASP 2015 conference in Amsterdam where I was invited to give a brief presentation on the OBP business model, trying to introduce some numbers into the discussion. The slides and a recording of the presentation have been posted online (slides, video) but as many people have asked me for further details, I thought I would write the talk up as a blog post as well. The post has now evolved into a trilogy! In Part One I will outline some of my concerns with the “legacy” publishing model and some of the advantages Open Access publishing. Parts Two and Three present data from OBP to justify the statements and claims made in Part One and to provide some data for the Open Access debate. Part Two concentrates on the readership and dissemination objectives at OBP, and Part Three looks at the costs and revenues associated with OBPs Open Access publishing programme over the last 12 months. First, it is worth thinking briefly about the existing “legacy” publishing model for monographs. 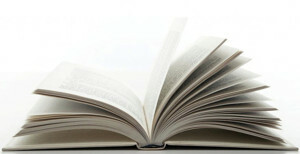 The legacy model is to produce printed volumes, typically priced at around $80-100, for which lifetime sales are often estimated to be around 200-400 copies – these are primarily sold to university libraries. Generally, legacy publishers tell us that either no profit is made from their monograph publishing programme, or that they actually make a loss from this part of their operations, so it may be reasonable to suppose that their costs are fairly close to their revenue – in the order of $15k per title. There have been numerous reports about the dramatic fall-off in sales of academic monographs – from several thousand to several hundred over the last thirty years. [i] While noting this dramatic fall-off in sales of monographs, Geoffrey Crossick also observed in his recent report that the number of research monographs published globally appears to have grown. Monograph publishing by the ‘big four’ UK academic monograph publishers has nearly doubled over the last 10 years. So it is probably fair to say that, despite the fall in actual sales, the legacy publishing model remains successful as a business model. But as a dissemination model, it is an unmitigated disaster. Sales of 200-400 titles mean that effectively nobody is reading the work. The audience at COASP 2015 alone was that size: it’s less than the number of kids in my daughter’s year group at her local school. Surely this is vanity publishing. The primary purpose for these publications can only be to satisfy the egos and CV/promotion requirements of the authors and their employers, because as a means of disseminating knowledge it is failing spectacularly. And the consequences of this failure are alarming. More and more funding authorities are questioning the role and impact of research in HSS (humanities and social sciences) disciplines, and funding for HSS is often a “poor cousin” to STM. Japan’s government, for example, recently encouraged universities to close their HSS faculties altogether – with 26 of 60 national universities in Japan now planning to close or convert HSS faculties to “areas that better meet society’s needs”. At a time when HSS disciplines around the world are having to justify their funding, and even existence, alongside STM (science, technical, and medical) disciplines, the primary vehicle used to disseminate the latest and best research in HSS has an average circulation of 200-400, globally. It is very hard to argue that HSS scholars are addressing important social issues and making an important contribution to society (and should therefore be funded by public monies) when their best research is inaccessible to near enough the entire population. Maybe this would be understandable if the works were so specialised that only a very few could understand them, or if there was a well-developed secondary literature repackaging the arguments and spreading them to a broader audience. It would even be understandable if we believed that HSS scholarship really was irrelevant and that nobody in the world was interested! But none of these things are true. Globally, there are more people enrolling in, and graduating from, university courses in HSS disciplines than ever before; more people trained to engage with HSS research and ideas than ever before; more people using digital technology to search for information and develop knowledge than ever before. And so there are, under the legacy publishing model, more people being denied access to the most recent knowledge than ever before. This failure in dissemination by the legacy publishing model was our primary motivation for setting up Open Book Publishers in 2008, and the main reason we believe Open Access is the future for scholarly monograph publication. In contrast to legacy publishers, where financial considerations clearly dominate, our aim and structuring principle are to make research as widely accessible as possible. improve the quality, range and scope of academic research by encouraging and developing innovative outputs. It is really important to recognise that our whole operation is built around achieving these four objectives. Maintaining financial viability is a necessary, but secondary, consideration – it is the tail that follows the dog. As a registered non-profit our financial business model is to break even: we have no hungry shareholders to satisfy with increasing profit margins. This means that any revenue earned can be used to expand and enhance the publication of research. While much of the debate about business models in Open Access publishing focuses on the revenue, our main business concern is actually cost minimisation. How can we disseminate the research in cost-efficient ways? Where can we change processes to enable real savings? As it stands today, we have the same number of sales and two orders of magnitude more readers than the legacy model; our distribution costs are one order of magnitude lower; and our ‘first copy’ title set-up costs are about one third that of legacy publishers. In addition, we have been able to develop interactive and multi-media books, and books with enhanced digital content, which not only present research in more complete, informative and accessible ways, but also improve the very nature of the scholarship undertaken. Data presented in the subsequent two parts of this post will bear these statements out. The dissemination and cost efficiency benefits of the Open Access business model are clear. But cost minimisation does not mean that costs are zero, and revenue still needs to be raised to cover these expenses. At OBP we do so through a number of different channels – sales, publishing grants and library membership. In the next two parts of this post I want to look at our past 12 months of operations, examining first our success at meeting the objectives we have set ourselves, and then analysing more closely the costs and revenues associated with our publication model. [i] See for example JISC’s summary of their OAPEN-UK project. Continuing reading Part Two and Part Three. Dr. Rupert Gatti is a co-founder of Open Book Publishers. He is also a Fellow of Trinity College, Cambridge, where he is Director of Studies in Economics. This entry was posted in Uncategorised and tagged Data, Open Access, Open Book Publishers, Rupert Gatti. Bookmark the permalink.